In our last Telehealth Series (Part 1 & Part 2), we talked about the future of telemedicine and how, in the aforementioned future, we may drop the ‘tele’ entirely, thereby alluding that this now #trending technology will soon be an integral part of American healthcare. Exciting stuff, right? In the spirit of excitement we thought we’d take a minute to highlight what a few telemed startups are doing to embrace this technology and do some tele-good for those you might expect…and those you might not. Pacify: As most parents would attest, there are few things worse than a sick baby — in the middle of the night — during the dead of winter — with 3 other children under the age of 10 sleeping — or <insert personal life details here>. The point is, that problem has now taken a step toward resolution. 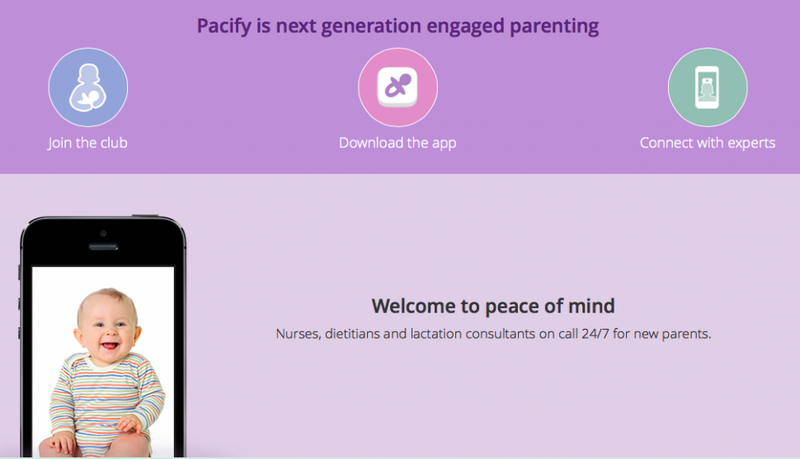 Enter Pacify, a telehealth application with nurses, lactation consultants and dietitians on call 24/7. In the past, parents may have — even in a situation that is probablynot an emergency — woken up the family, bundled them up, headed to the ER, waited for a few hours among a cesspool of other under-the-weather people, consulted with a doctor, and then headed home. Now, with the Pacify interface, you can connect directly with a specialist who can advise you of the right next step — and save you a middle of the night haul to the ER, a bunch of time, and your sanity. Maven: At different stages of life, women need support from various doctors and healthcare professionals. Navigating the system can be confusing, time consuming and expensive. As a telemed app, Maven eliminates the time intensive process of booking, scheduling, and getting to appointments. You can book based on your needs. Maven believes in patient- centric care, allowing you to easily access your records, and booking a repeat provider if you wish. 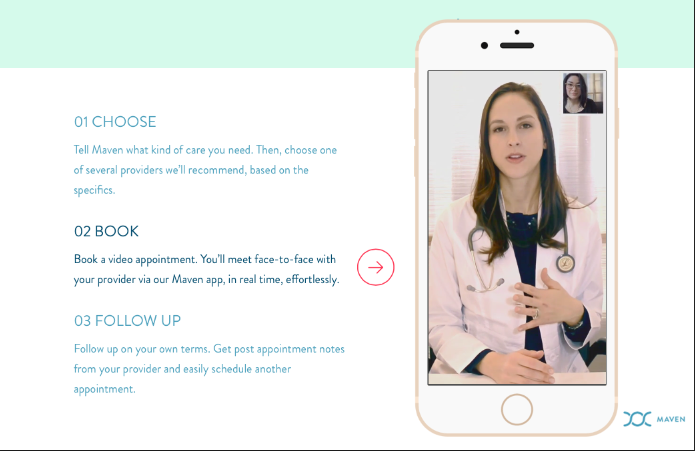 Founder Katherine Ryder and her team created the type of healthcare they wish existed — and it seems to be a pretty killer example of the power of telemedicine. 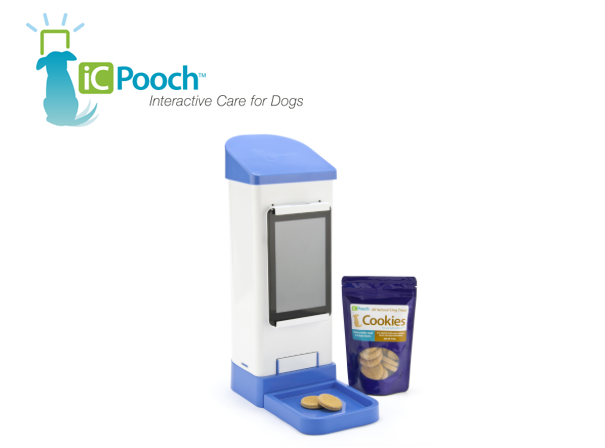 iCLovedOnes: If you liked the above (iCPooch), you’ll very much appreciate the ingenious telemedicine application. The same company has found an efficient and effective way to apply their technology to solve another problem: remote elderly care. Patients who live at home alone, especially ones who suffer from early stages of diseases like Alzheimer’s and dementia, may have a hard time remembering to take or forgetting they already did take their medication. 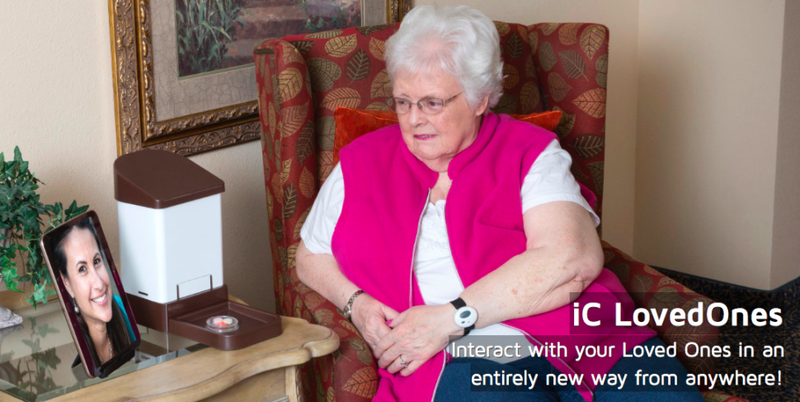 iCLoved ones solves this problem by allowing friends, family and doctors to check in remotely throughout the day. Also, with the dispensing functionality, whomever is in charge can ensure the elderly person always takes the correct dosage of their meds. Doxy.me: While this solution is of a different breed than the aforementioned patient facing platforms, Doxy.me is worth including. 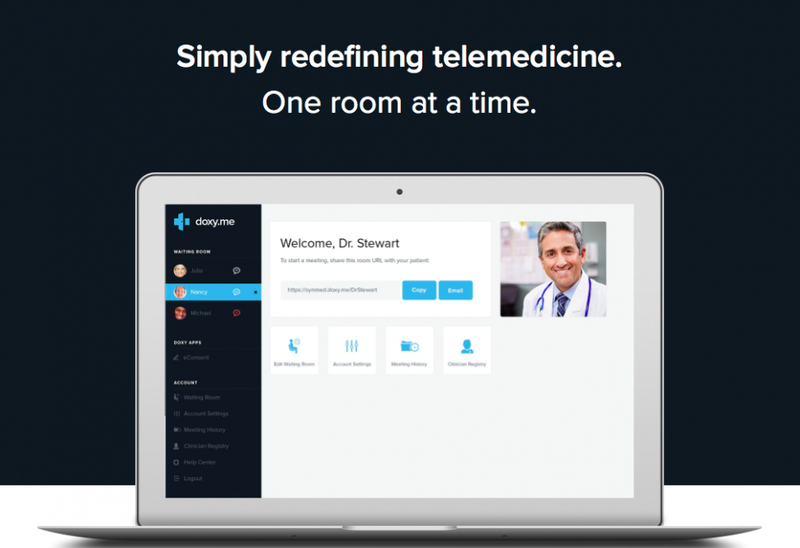 A free, secure, and HIPAA compliant telehealth product, Doxy.me offers the security required of a telemedicine solution without the cost and installation that comes with big name brands. In a matter of minutes, a practice can easily and quickly get up and running with its own tele-solution. With a white label licensing option for larger institutions (that allows for visual and brand customization) and a free product for clinicians, this telehealth solution allows patients and docs to meet conveniently, inexpensively and efficiently. Take a look at their video and here’s to telehealth being, as their motto says, simple, free and secure. From more established telehealth solutions like Doctor on Demand and secure video API solutions like ReelDx, to any of the targeted tele-applications above, we are so glad to be among such innovative company, improving the telehealth field, for the tele-good of everyone, one API call at a time.